While the LifeCam Cinema with 720p video was impressive enough, it simply wasn’t enough for Microsoft. Earlier today, the company’s hardware division announced the LifeCam Studio which sports a 1080p sensor and a powerful microphone for an all-in-one solution. Like it’s predecessor, the LifeCam Studio also features TrueColor and ClearFrame technology to enhance image color and offer smooth video playback. Microsoft also claims that the webcam will perform well in low-lighting conditions, which is often a problem with cheaper alternatives. The webcam rests on a built-in flexible stand that can mount onto a standalone monitor or a laptop screen. Although the stand folds to accommodate placement on a flat surface, there’s also threading for a tripod stand. This makes it easy to properly position the LifeCam Sudio in any direction. According to Microsoft, the upcoming version of Live Messenger 2011 will HD 16:9 video calls. (Expected to become available this fall.) 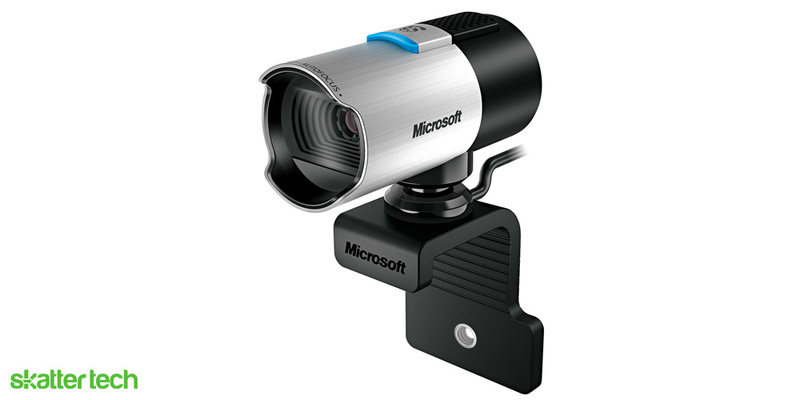 While Microsoft doesn’t mention Skype, the older LifeCam Cinema was completely compatible with the application. For those ready to pick one up, the LifeCam Studio will hit Best Buy stores later this month and is available online at BestBuy.com starting today for $99. If that sounds a bit too pricey, the LifeCam Cinema ($50) will likely drop in price quickly. And for those looking an even more affordable solution, check out the LifeCam HD-5000 and HD-6000 we reviewed earlier this year.